Many have welcomed the more compassionate approach to caring for people who use drugs problematically; however, there is public acknowledgment that, if similar compassion existed for black and Latinos who use drugs in America, those communities would likely not have been devastated by the impact of mass incarceration. 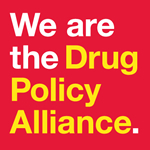 The calls for a gentler drug war disregard the explicit racism ingrained in the construction and execution of our drug policies. This nomenclature also suggests that communities of color were passively complicit in demanding and prolonging the drug war. As the opioid crisis continues in New York, and throughout the nation, many journalists are beginning to ask why blacks and brown lives did not matter when similar drug related crisis occurred. Faced with a rising national wave of opioid addiction and its consequences, families, law enforcement and political leaders around the nation are linking arms to save souls. But 30 years ago, it was a different story. Ekow Yankah, a Cardozo School of Law professor, reflects on how race affects our national response to drug abuse. The case for drug war “reparations"